Rafa Benitez discusses state of player who is desperate to play for Newcastle United | The Transfer Tavern | News, breakdown and analysis on all things football! Newcastle United fans in the Transfer Tavern will be beginning to get excited after positive injury news has started to come out from the St. James’ Park outfit, as Rafa Benitez has revealed a key member of his side could be set to return in the coming weeks. The manager has revealed that he expects Islam Slimani to return to action during the international break, where he is currently on duty for Algeria. The Leicester City striker, who joined the Magpies on loan in January, has been unable to make his debut for the club as he continues to struggle with a thigh problem. 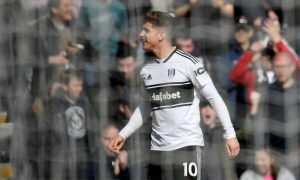 Newcastle are currently in Spain on a training camp and the 29-year-old had travelled with them, however, he had to sit out of their friendly with Royal Antwerp, but Benitez expects him to be ready for Premier League action on March 31 in a crucial fixture against Huddersfield Town. “He has the program,” Benitez told the Shields Gazette. “Our doctor is in contact with their doctor. He will be there and he will see how he feels. “He’s desperate to play. We will see how many minutes, if he can play. Should Slimani be able to get some minutes on the pitch when Algeria take on Iran and Tanzania during the international break, it should excite those Newcastle fans in the Tavern. The striker will bring an added boost to the side’s survival hopes and the game against Huddersfield could be the perfect time, potentially putting the Terries to the sword and all but ensuring Premier League survival this season. 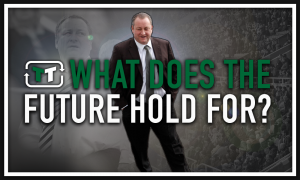 What does the future hold for Mike Ashley?